Additive manufacturing technology in the dental industry is gaining popularity.. Materials and printing techniques continue to improve as manufacturers receive feedback on what is needed in terms of performance. 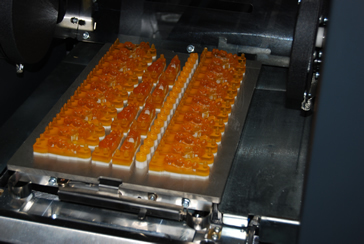 The volume of single-unit production in the dental industry is unlike anything the RP industry has encountered before. Dentistry is quite possibly the ultimate industry for RP technology to move into. Additive manufacturing equipment makers and material suppliers for these printers are already taking notice. The ProJet SD 3000 prints high definition, durable plastic parts for engineering and mechanical design applications including functional testing, form and fit verification, rapid prototyping, design communication, rapid tooling and more. Superior VisiJet materials deliver exceptional quality and the unique part support is the easiest and fastest to remove, even from complex, inaccessible internal geometries. 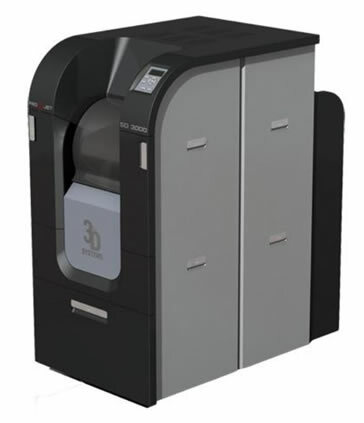 Highly accurate, reliable 3D printers to replicate that data reliably and accurately and a wide variety of materials for a broad spectrum of dental applications. CAD-based dental restorations using Envision TEC 3D printers deliver labor and material cost reduction as well as higher clinical quality and consistency throughout the manufacturing process. Labs need to compete with offshore production. Our low-cost, high-throughput solutions offer the requisite quality to level the global playing field and improve dental lab competitiveness. As software and material upgrades become available, this information is provided to EnvisionTEC customers. We are in constant communication with the R&D teams of the most recognized dental CAD software companies to ensure a seamless workflow that delivers consistent manufacturing quality.